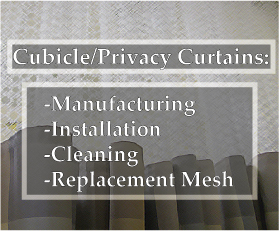 Our comprehensive service includes all phases of cubicle curtain care and maintanence. 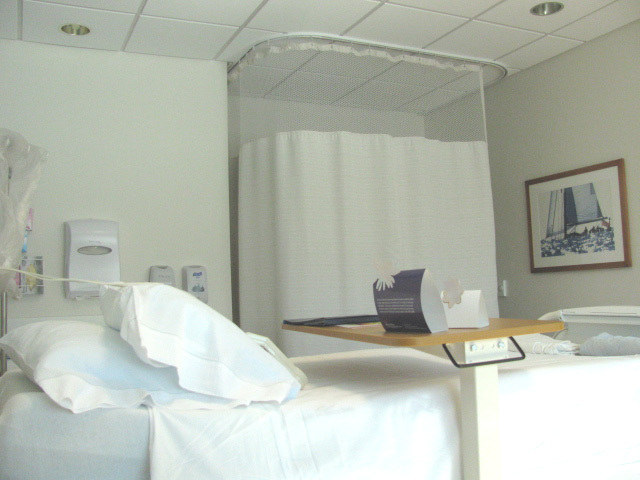 Our same day service consists of our fully trained and vaccinated staff arriving at your facility, taking down your curtains and/or draperies, hanging sanitized replacement curtains to maintain patient privacy, returing to our facitlity and spot-treating stains, cleaning and disinfecting the curtains. Then returning to your faciltiy to re-hang your curtains. Our spotting process ensures, according to the Center for Disease Control guidelines, that your curtains return to you fully cleaned and disinfected. In this process, we physically remove each stain with the proper cleaning agent associated with the removal of each specific stain. Then launder using traditional wet cleaning techniques, followed by treatment of an anti-microbial agent that keeps the material bacteria free for at least 90 days. 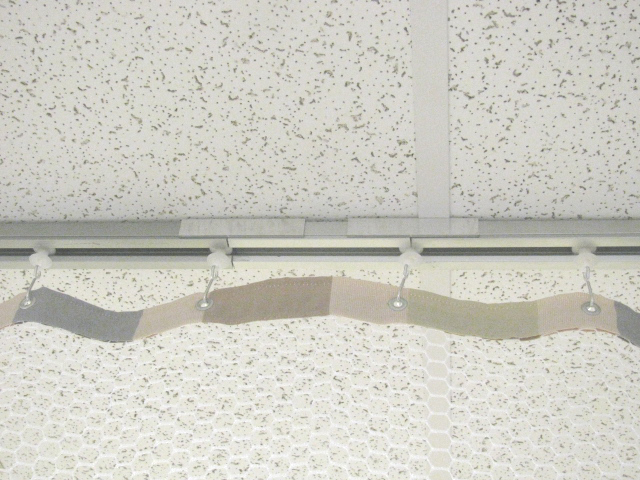 All cubicle track and drapery rod repair is included with our service, including adding carriers, removing broken or jammed carriers and curtain track lubrication, making for smooth sliding curtains. 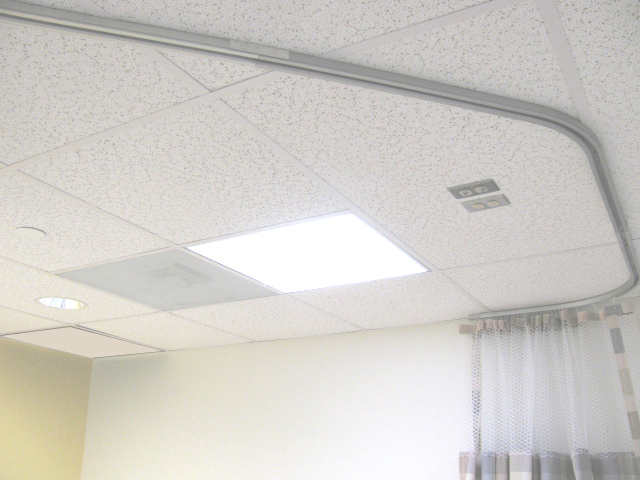 We have the experience and expertise that allows us to fully service entire hospitals in a matter of days. We also offer a pick-up/drop-off service in which in-house staff pulls and re-hangs the curtains/draperies that we have cleaned for you. Your curtains are returned to you sealed and labeled with size and location. On Site Drapery Cleaning Inc. offers a wide array of services including, cubicle curtain and drapery cleaning, curtain track and drapery rod installation and maintanence, storage areas at your facility, custom built to fit your needs, specialized dry cleaning, replacing torn mesh on existing cubicle curtains, the manufacturing of new cublicle curtains and draperies, along with a full list of new products offered to our customers. 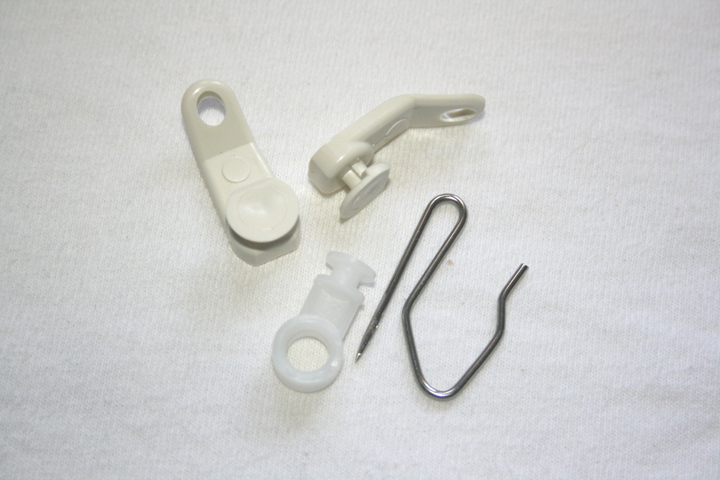 We supply all replacement hardware for your drapery rods. 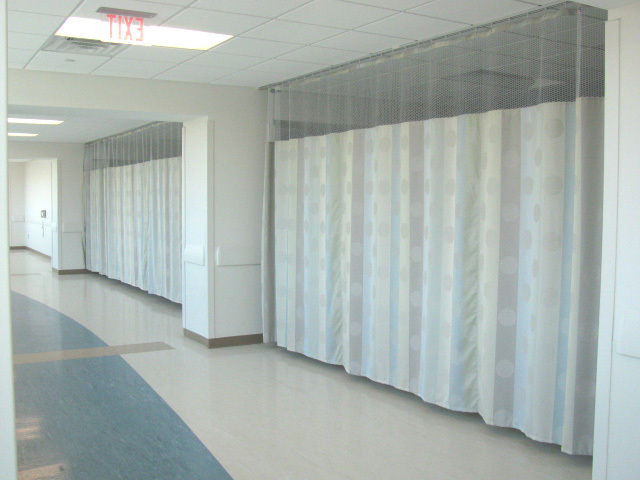 Our experienced staff will measure your facitlity and customize cubicle track installation to ensure maximum efficency in the use of your privacy curtains. Our experience in this field will help eliminate problems with usage before they occur, decreasing additonal costs to maintain the curtains while increasing the overall life of the curtain. Specifc items require specialized dry cleaning rather than traditional wet cleaning. We itemize the cleanings accordingly to ensure no damage is incurred by the material. Our team can design, build and organize a custom storage area at your facility, that meets your wants and needs. This helps keep curtain inventory neat and organized and cuts expenses by lowering the time it takes for employees to locate the proper curtain for their task. Hundreds of design and fabric styles to choose from. Our staff will meet with you to discuss which fabrics and designs would work best with both the functionality and asthetics at your faciltiy. We will give you samples to hold and decide which you like best. We offer the option to have your curtains manufactured with a anti-microbial agent that keeps them bacteria free for 40 washes. Fabricaide solves the problem of harmful microbial contaminents like bacteria, growing on your curtains, and allowing them to transfer to other surfaces or people. 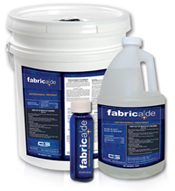 Fabricaide leaves behind an invisible, non-toxic, hypoallergenic anti-microbial coating on all fabrics. Click here to see one of our recently completed projects! Each curtain we return to you, will be labeled using our custom identification system. A permanent label will read the facilities' name and the items' size and location. 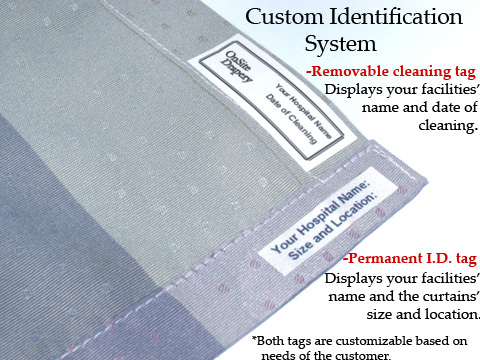 This tag will enable your staff members to correctly identify each curtains' size and location, without searching for an often missing manufacturers tag, that has fallen off in the many years of usage. Each item will also be labeled with a removable cleaning tag, indicating the facility name and the date of cleaning. 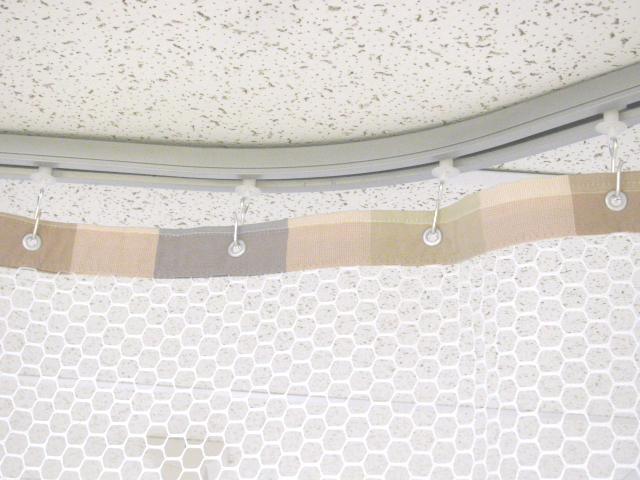 This tag will help your staff identify when that specific curtain was last cleaned, reducing unnecessary cleanings. Both tags are designed to save you time and money. Our goal is to provide exceptional service. Therefore, we will customize these tags to correlate with the specific needs of each customer to ensure the highest level of efficency is achieved. The advantages of these customizable tags is that they are easily read by all of your staff without the need of extra equipment. Also saving you valuable time and money. We at On Site Drapery Cleaning, Inc.are proud to be registered distributors and installers for some of the nation's leading blind and shade manufacturers. Our experienced staff will survey your facility and meet with you to discuss options that fit best with your project.